Fibromyalgia is a condition that is best known as an experience of widespread pain, severe fatigue, a decline in cognitive abilities (often referred to as fibro-fog), and sleep issues. Although there has been much more recent research to better understand fibromyalgia, there is still a lot that remains a mystery about this syndrome. This can cause problems for fibromyalgia sufferers who are looking for information and proper healthcare to help with their issue. Symptoms occur suddenly, even many years following a trauma, injury, or illness. 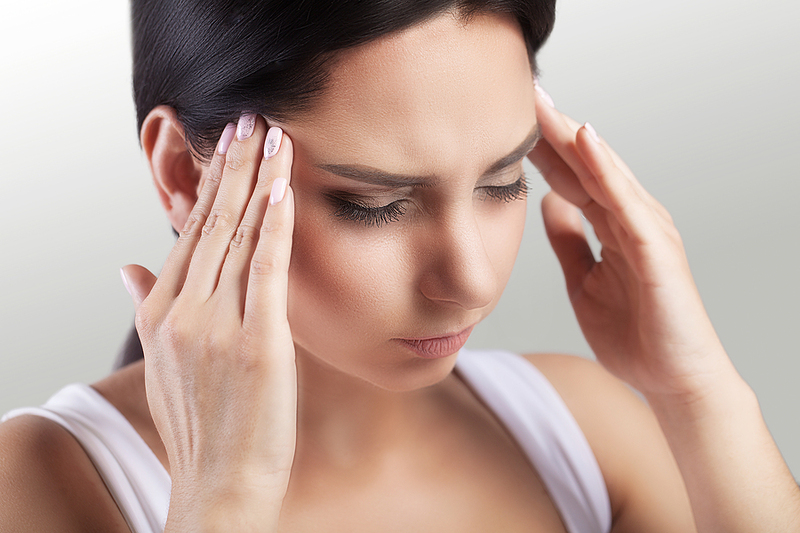 Fibromyalgia is a neurologically-based disorder, which means that the problem probably is connected to the way that people with fibromyalgia process pain. Pain processing is the responsibility of the body’s central nervous system (CNS). The brain, spinal cord, and branches of nerves compose the network that all signals in the body travel across. This includes the information sent to tell the brain about pain. The CNS can be adversely affected by several factors, and some of those factors are also thought to create the conditions under which fibromyalgia develops. Treatment using medication: pain-relievers, sleep-aids, and anti-depressants are often prescribed. Lifestyle change recommendations: changes in diet, incorporating daily gentle exercise, and improving sleep habits are also potential ways of getting some relief. Fibromyalgia is recognized as a chronic and life-long condition, causing those who are affected to look for natural treatments that provide results instead of masking symptoms. One possible choice in this category that is also growing popularity due to the successful results is upper cervical chiropractic care. This form of treatment has been supplying hope and relief to many fibromyalgia by decreasing their pain and improving their lives. A 32-year-old woman with a two-year history of fibromyalgia received care from an upper cervical chiropractor. Seven years prior to her being diagnosed with fibromyalgia, she had an injury that caused a separated shoulder. Months after the injury, she experienced a major decline in her health and vitality, to the point that she was bedridden because of extreme fatigue, pain, and depression. The patient had other concurrent health conditions, such as a history of migraines, hypothyroidism, eczema, indigestion, difficulty sleeping, and cold hands and feet. The upper cervical chiropractic examination revealed that her atlas vertebra was misaligned. A specific upper cervical chiropractic adjustment was provided, and she reported a drop in pain levels from 8 out of 10 (with 10 being the worst possible pain) to 6 out of 10 after only the first adjustment. After several few weeks, she continued to experience more relief of symptoms. After six weeks of care, the patient could lower her medication usage, and by the three-month mark, she was off all medications and had a 90% reduction in her fibromyalgia pain. A 100% improvement in symptoms was reported after four months of care. She experienced a complete return to health and vitality, was no longer bedridden, and had no more pain, fatigue, or depression. Her recovery was so thorough that she was able to fully return to her normal daily activities and was exercising 3-4 days a week. This is only one of many success stories that have happened because of the care provided by upper cervical chiropractic offices around the world. A primary factor behind these successes can be connected to the precision of upper cervical care. We spend a great amount of time to obtain a thorough understanding of each patient’s health history and to complete a detailed examination. This is what gives us a head start in providing high-quality care that is individually tailored to each patient’s needs. We realize that no two fibromyalgia cases are the same. Upper cervical chiropractors specialize in a small area of the spine, the vertebrae located at the junction between the head and neck. The two bones here are called the atlas and axis, and they protect the brainstem. An upper cervical misalignment can result in disruptions to normal brainstem function, leading to improper signals being sent to the brain. One example of this is that the body could tell the brain that a specific stimulus is intensely painful when it actually is not. By giving a gentle, specific adjustment to the upper cervical spine, we are able to restore proper alignment. When brainstem function goes back to normal, the body is then able to heal and function better overall. Understanding how this works puts the puzzle pieces together as to why the patient in the case study above experienced such amazing results and why so many other patients have been able to return to a normal quality of life under upper cervical chiropractic care.